We have a little and a big mobile coffee bar. So choose the one that fits your space and requirements. 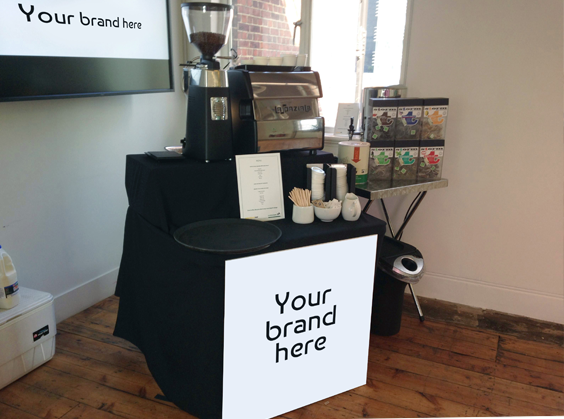 For even tighter spaces and less than 50 guests, we have a true pop-up coffee stand, which can be assembled onsite. If it’s speed and volume you want, but retaining quality, we have The little filter coffee station. They’re suitable for exhibitions, conferences, corporate hospitality, catering events, fashion events, press days, product and store launches, promotional, experiential and marketing activities, showrooms, office meetings, weddings, hotels, building lobbies, receptions, cocktail lounges, private parties, summer balls and just shamelessly showing off!